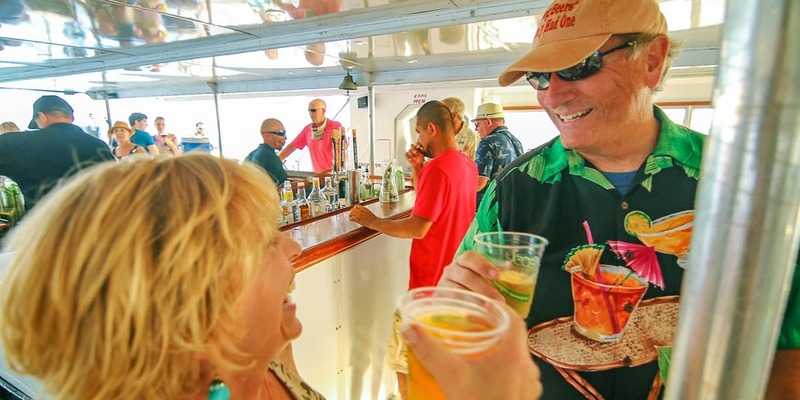 Departing from Lahaina, enjoy a memorable evening of dancing and dining aboard Maui‘s largest and most stable 120-foot yacht, the Maui Princess. As you glide along Maui’s calm West shoreline at sunset on the Maui Princess Dinner Cruise, you will be mystified by the 360-degree panoramic view of the beautiful West Maui Mountains with their captivating rainbows. This enchanting cruise is one you will want to do on every visit to the beautiful island of Maui. Due to traffic and parking, please allow enough driving time. Coming from South Maui allow 1 hour, and from West Maui, allow 30 minutes. For your safety, courtesy bus service to and from West Side vacation accommodations, including all Kaanapali Beach resorts, is offered. Infant 6yrs and under without meal are free. Daily 4:30 – 5:00 P.M.
Must have a valid picture ID for alcoholic beverages, regardless of age. Watch the twinkling night lights from Maui and the neighbor islands. View the stars as they come out over the ocean from our All Premium upper deck seating. You will enjoy music spun by a local DJ and tableside dinner service provided by our excellent waitstaff. You can dance after dinner or relax at your table, and enjoy the rest of your evening cruise along the Maui coastline.